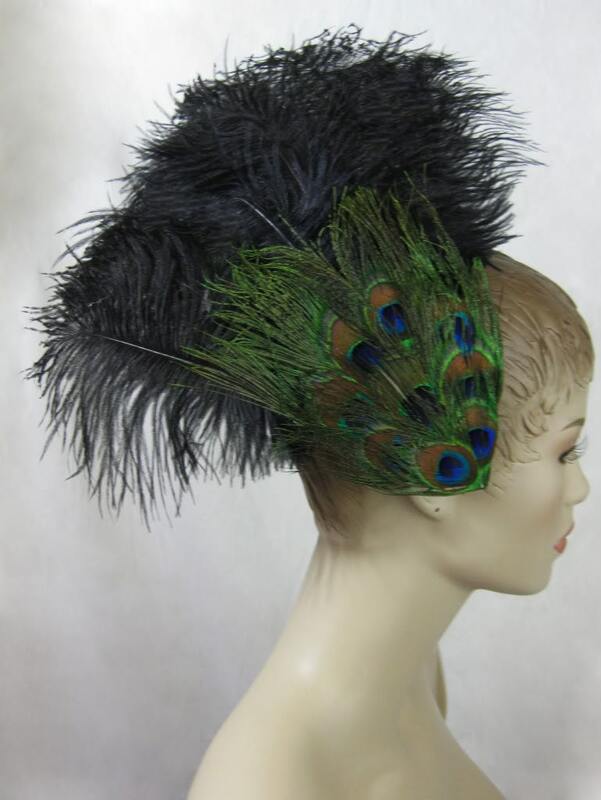 Custom made ostrich feather hair clip features a layered peacock eye feather base with large black ostrich plumes. Large excellent quality metal alligator clip on back to easily clip on to your hair. As with all natural products please allow for light differences in each piece. Due to the time custom orders take to make I do not accept returns. I will exchange any damaged/defective item.